The general meeting of “Japan Society of Maintenology” was held on May 25th, 2010 at Gakushi Kaikan (Tokyo). In the meeting, Mr. Yanagisawa, a Senior Adviser of Japan Atomic Energy Agency (JAEA), presented about the restart of Monju. This paper summarizes the presentation. Monju, a 280MWe prototype of FBR located at Tsuruga City in Fukui Prefecture, restarted its operation again on May 6 and reached criticality on May 8, 2010. 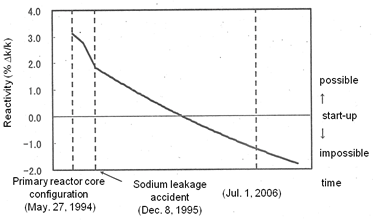 Fourteen years and five months have passed since the sodium leakage occurred on December 8, 1995 from the secondary cooling loop. Monju was switched to the operating mode with the attendance of Mr. Kawase, the Mayer of the Tsuruga City, and the control rods were pulled out at 10:36 on May 6 following the consents of Mr. Nishikawa, the Governor of Fukui Prefecture and Mr. Kawase on April 28th. Then, Monju reached the criticality at 10:36 on May 8 with attendance of Mr. Nakagawa, the Senior Vice Minister of the Ministry of Education, Culture, Sports, Science and Technology (MEXT). It was a memorable moment for the Monju-related-people after long time effort. As the Sciences and Technologies of National Importance, five items were selected in the third Science and Technology Basic Plan of Japan concluded in 2006. The FBR cycle technology was selected as one of the five, only one in the energy field. 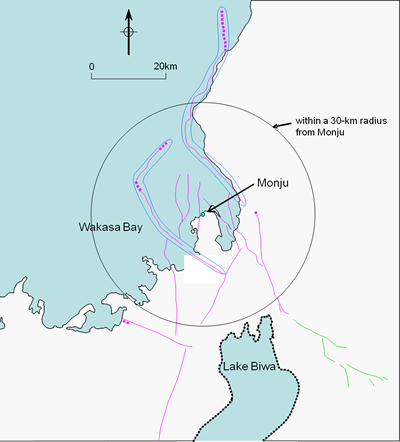 The research and development of Monju is expected to play a key role. 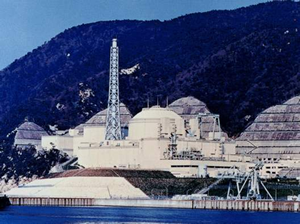 Construction of Monju was started in 1985, the sodium leakage accident in the secondary cooling system occurred in 1995, plant modification was started in 2005, and the Modified System Function Test (MSFT) and the Entire System Function Test (ESFT) were carried out after completion of the plant modification. Monju has experienced big turning points every ten years. During the past 14 years after the accident, Monju faced lots of challenges in a trend where the question about the necessity of FBR was growing world wide. Consensus about the national plutonium policy among the central and local governments needed to be formed. Foreign media clearly reported that R&D of FBR should be stopped; moreover, the fact that French Super Phenix was stopped hit the trend. The necessity of R&D of FBR had been discussed a dozen times at the FBR and round-table meetings. It took five years to draw up the “Framework for Nuclear Energy Policy. Meanwhile, the government lost lawsuit on its safety review which permitted the construction of Monju at the Kanazawa High Court. The High Court had been deliberating for two and a half years before reaching the decision, that made it difficult for the local government to support actively the R&D of Monju. After the decision, it took about six years to be approved and conduct the modification in prior to the MSFT. - First, to confirm the safety, JAEA, the central government, and Fukui prefectural government have reviewed comprehensively the Monju design, system, quality assurance, and manuals. After the review, plant modification work started with the approval of the government. -Second, the necessity of Monju in Japan and in the world was fully discussed by Atomic Energy Commission and other meetings. Long-term nuclear policy was discussed as well. JAEA provided necessary data for the discussions. -Third, JAEA, which was Power Reactor and Nuclear Fuel Development Corporation (PNC) at that time, reformed its organization, renovated its management, and engaged in activities to recover the trust from the public: PNC had lost its trust because of the inappropriate responses such as disguise of the accident’s video, delay of the accident’s report, and scandal of the waste explosion during bitumen solidifying process at the Tokai works. -Fourth, JAEA preceded the research and development of innovation technique to avoid delaying the R&D of Monju and implemented the modification of experimental reactor, Joyo MK-3 to out put 1.4 times. After the long term shutdown of facilities and equipments of Monju, JAEA conducted the ESFT and proceed with the preparations for System Start-up Test (SST). 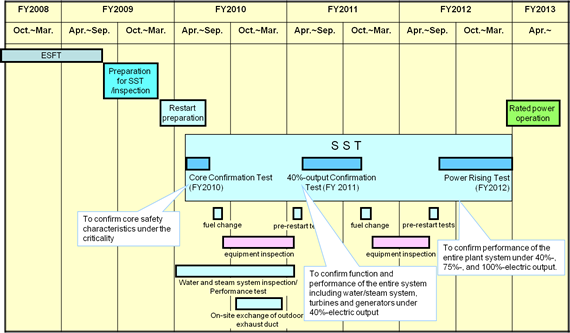 It reached ready technically to restart Monju at the end of January 2010. Monju attained the criticality on May 8. The three-year-SST is planed to be conducted, which consists of three steps: Core Confirmation Test, 40%-output Confirmation Test, and Power Rising Test. After finishing these steps, the full power operation will start. The water and steam system will be inspected and tested almost over the next year to prepare 40%-output turbine power generation. 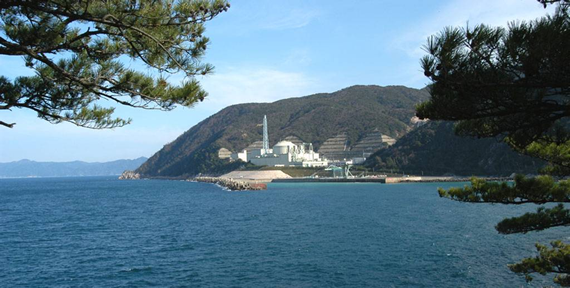 The loaded fuel of Monju is mixed plutonium-uranium oxide with fissile plutonium enrichment around 15-20%. 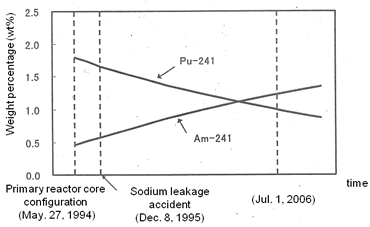 Fissile Pu-241 with half-life of 14 years has spontaneously decayed and turned into Am-241, which means the amount of Pu-241 in the loaded fuel has now decreased by half after the 14-year-idle of Monju and made it impossible to reach the criticality; therefore, new fuel has been loaded. Miner actinide, Am-241 has accumulated in the core fuel. The nuclear characteristic data of the reactor core which includes a large amount of Am-241 is valuable in the world. The data of neutronic characteristics of core fuel with such much amount of Am-241 is very hard to find in the world. The safety evaluation for seismic design of Monju was one of the biggest issues to be solved for the restart. After evaluating active faults and the seismic safety of facilities, reflecting the new seismic guideline and results of the Niigata-ken Chuetsu-oki Earthquake evaluation, the Nuclear and Industrial Safety Agency (NISA) and the Nuclear Safety Commission confirmed the seismic safety of Monju. The standard seismic motion was 466 Gal at first, but now it has been upgraded to the new standard of 760 Gal. “A man mistakes and a machine breaks down.” is a key concept when the reactor goes into operation. To get ready to response the troubles, a booklet, “For the safety of Monju - how do we response to the potential accidents and troubles?” was drown up, which shows case studies on the anticipated accidents and troubles as well as the experiences of overseas and light-water reactor. Fig. 7 Booklets"For the safety of Monju – how do we response to the potential accidents and troubles?" -First, the wake-up of Monju causes anxiety about the safety of Monju and the trustiness of the organization. -Second, it is re-acknowledged that Monju is the national key project which is the core of the national critical technology. While the national nuclear energy project has set off, the government will provide grant to the local prefecture, which accepts the project and support it; the role and position of the central government to collaborate with the local will make difference. -Third, it is desired that Fukui prefecture will be vitalized with Monju, which is highly expected as the international R&D center under the energy R&D centralization plan. 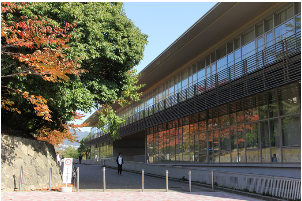 As a big part of the Fukui Prefectural Energy R&D Centralization Plan, Research Institute of Nuclear Engineering (RINE), which is attached to Fukui University, was established in April 2009 to enhance the education of Fukui University, especially in the nuclear field. RINE features FBR engineering, and its cooperation with Monju is expected. 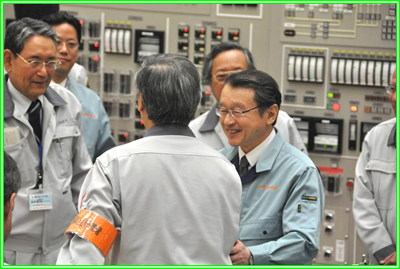 There are several R&D plans after the restart of Monju: validation of the reliability of the power generating plant’s operational safety, establishment of sodium handling technology, utilization of Monju as a site for the high level R&D, contribution to the international R&D etc. The role and the meaning of Monju is to upgrade maintenance technology of power generating FBR plant, to propose the design concept for ageing plant, and to establish the sodium handling technology. Promoting economic efficiency is another role of Monju which is utilizing various fuels such as minor actinide. Currently, it is an active situation for the nuclear power as expressed “Nuclear Power Renaissance” in the world. Joyo and Monju in Japan are in operation while Phenix stopped its operation last year in France but Russia, China, and India are actively promoting the FBR development. Especially, Russian approach is proactive: it has been operating BN-600 with high load factor and constructing the BN-800 in the vicinity of the BN-600. India will also start the PFBR soon, following the Indian experimental fast reactor in operation at present. China is expected to operate the experimental reactor in near future. EJAM Japan Column "Restart of "Monju""